I recently saw the cute T-shirt shown here. 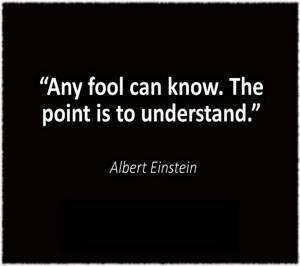 Even with an explanation, understanding what we hear or read often requires some work on our parts. Of course, in repetitive, familial interactions, small children learn how to understand, how to make sense of things. That ability grows with the complexity of the learning they take on. “Give this to Grandma, please,” is a request that little ones may have to hear a dozen times, accompanied by facial expressions, gestures, smiles, encouragement and feedback to finally get what they are asked to do. Expecting that children slowly learn to understand a simple request better over time is part of parenting. There are successive approximations of the desired outcome with each request, followed by feedback designed to help kids more fully understand expectations, eventually even anticipating them. These same dynamics operate in schools. Professional educators, work with what they know about their students and can anticipate what it takes for understanding to occur efficiently. Along with specific lesson goals, somewhat older children will need to advance their abilities to inquire explicitly and to publicly state their misunderstandings. Eventually, students learn to build a threshold for understanding by reading about a topic on their own in a book or perhaps online. Authors attempt to explain things to their intended audience with words, illustrations and graphics, but even the writers (or teachers) can’t understand for children. Kids have to do that themselves by being shown how to share their confusions and ask questions of others or of authors to help them grasp what is being communicated. Learning in these circumstances is accomplished in the context of conversation. Children who have been raised in homes where their families engage them in discussions about new experiences and ideas enter school well-prepared for independent learning interchanges. Children from families that do not invite that kind of interaction will find school more difficult. Thus, at the core of independent learning is the assumption that we each accept personal responsibility for doing the necessary work to understand others, either in person, from print or from digital media. If kids enter school lacking a sense of that personal responsibility, then it must be taught to them. 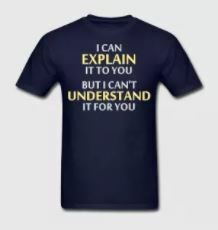 The seemingly clever T-shirt inscription obscures the complexities of how children and even adults generate their own, individual and always unique understandings. It stops short of recognizing the need to articulate our conceptualizations or confusions so that others can understand them. 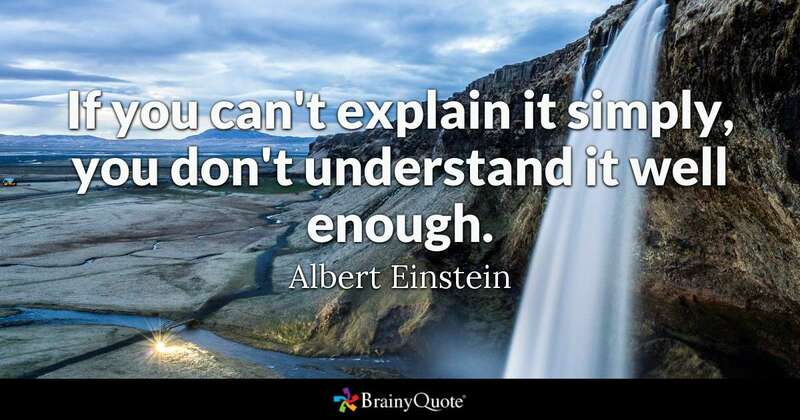 Understanding involves fully acknowledging and accepting our own perspectives, then seeking to learn from the contributions of classmates, authors and teachers, and finally to fully express our own conclusions to others. Learning to help another person to understand us has to be learned. It is readily available if it is taught. This single accomplishment—learning how to understand each other through conversation—powers lifelong learning, the primary goal of every complete education.